The Mission Mongolia head off on their trip of a lifetime! 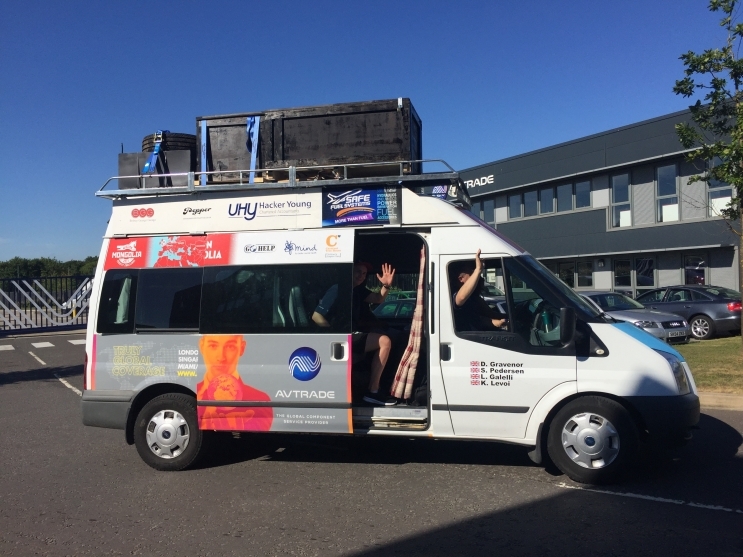 The team were waved goodbye on Sunday 9th July, ready for their month long road trip. Avtrade CEO, along with other members of staff, sponsors and friends and family came to see them off. With a mixture of excitement and nerves in the air, it was an emotional departure, but they were soon on their way and have already made it safely to Germany. The Mission is raising money for the 3 charities: national mental health charity ‘Mind’, local Sussex children’s charity ‘Chestnut Tree Hospice’ and ‘Go Help’, a Mongolian based adventure charity. Donations are still open, so head over to the JustGiving page and help support our brave team! You can keep track of where the team are, with our map on the Mission Mongolia page and stay up to date with the latest news on Facebook and Twitter as well.